Waxspace Review 2019: Is Waxspace a Good Hosting? U.S. company Waxspace provides Linux shared web hosting and reseller hosting services backed by highly skilled technicians. Waxspace was founded in 2013 with “an ambition of providing customers [with] the best hosting experience.” Don’t they all aim for this? With company headquarters in Washington, DC, Waxspace is a subsidiary of Delaware-based Cyleads LLC, and it has servers located all around the world. Considering this is an American company, Waxspace’s website contains some surprisingly poor English in places. While one part of the Waxspace website boasts about its 99.99% uptime guarantee, another section of the site boasts about a 100% uptime guarantee, but I won’t quibble about the 0.01% difference. What is more important is the fact all hosting plans come with unmetered bandwidth, and several of them come with unlimited storage space. Depending on the plan you pick, you get various numbers of websites, MySQL databases, subdomains, and FTP accounts. Waxspace’s prices range from less than a dollar per month (for simple non-SSD shared hosting) up to tens of dollars per month (for SSD-based dedicated servers), so there’s a price point for everyone. And all plans come with a “no-quibble” 30-day money-back guarantee that refunds your setup fees and monthly fees regardless of usage. Waxspace claims its servers are so reliable that over 90% of its customers never need to contact the company. Nevertheless, it provides 24/7/365 professional support and invites you to call any time, any day, to speak with a highly skilled technician. You can also summon support via the prominently placed live chat. I tried it, and I liked it. 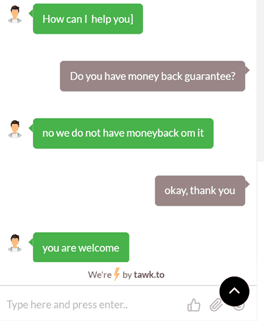 I would have liked it even more if the support agent had given me the correct answer to my question about the money-back guarantee that they boast about on the website. Waxspace is a professional company with a professional-looking website, which is a good sign when you’re looking for a web host. If this company’s confidence is truly matched by its capabilities, then it’s definitely worth putting Waxspace on your list of would-be web hosts. 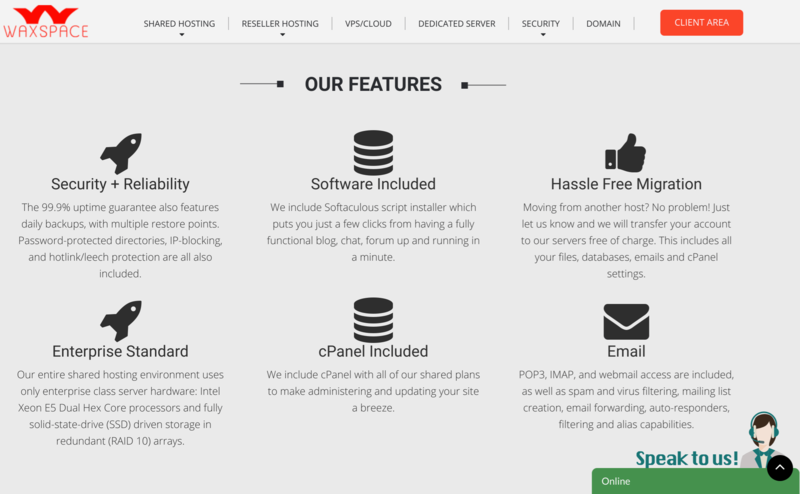 Wondering how Waxspace stacks up against other Web Hosting companies? Enter any other Web Hosting company and we will give you a side-by-side comparison.